If I could study any of the biblical cities, I’d study Ephesus. I’d study it because it was a burgeoning, multi-ethnic, religiously diverse metropolis. I’d study it because it’s the best preserved of the ancient cities, having been vacated by a majority of the population after a wicked bout of malaria. And I’d study it because, through it, a couple of Christians changed the world. Imagine that if you decided to teach the faith to one person, you would create out of your city a hub of Christian teaching, writing, and thinking for the next hundred years. Imagine that if you decided to teach the faith to one person, one day people would talk about your city the way they talk about Salt Lake City – you know, “it’s ok to visit, but there sure are a lot of Mormons there.” Substitute “Christians” – that’s what a single mentoring relationship can do. 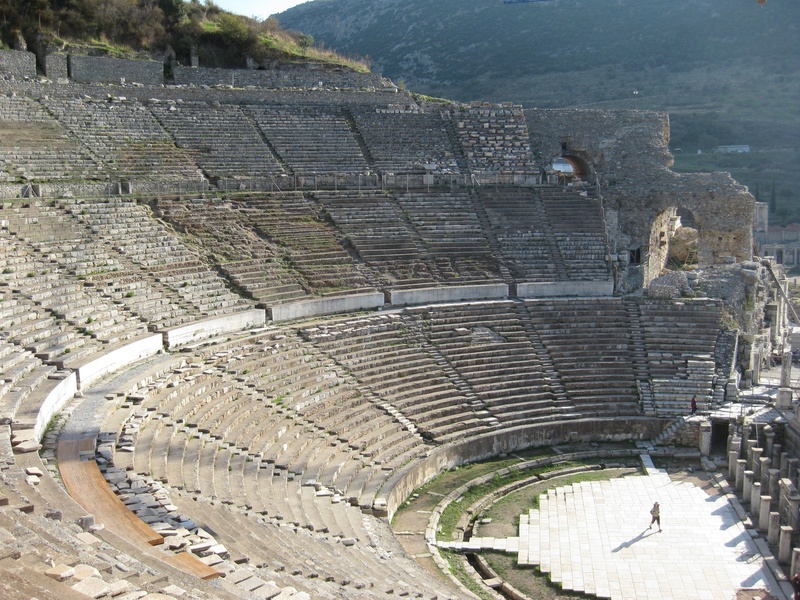 At Ephesus, Paul went and preached, staying 3 years and beginning a church. He appointed Elders and empowered saints. Then he left. But while he was there, he mentored Timothy, his “son” in the faith, to whom he passed on the best of what he knew. John, the disciple of Jesus, settle there and became a pastor. He led the church, continuing to pass the faith on. We know of just a few names of individuals who moved from rural and distant parts to the big city, and that changed the city. Ephesus became one of the centers of the Christian church in the centuries to come. By the 5th century, when the Roman Emperor wanted to call together a council of the bishops of the church, he called them to Ephesus. It’s not inconceivable that any American city could have such a legacy. It only took one or two people gathering, engaging, loving, and teaching. Anyone can do that, in any city. Why can’t it be your city? Why can’t it be mine?